Viper 4-12x40 PA is rated 4.9 out of 5 by 19. Effortlessly shrugging off recoil, moisture and darkness, the Viper's status as a premium riflescope won't be as easy to shake. Discover a riflescope with incredible performance features like premium, fully multi-coated optics, heavy duty Precision Force spring systems and the glass smooth Precision Glide Erector System—delivering all this and more at a price that should have pulled a few more hundreds from your wallet than it did. 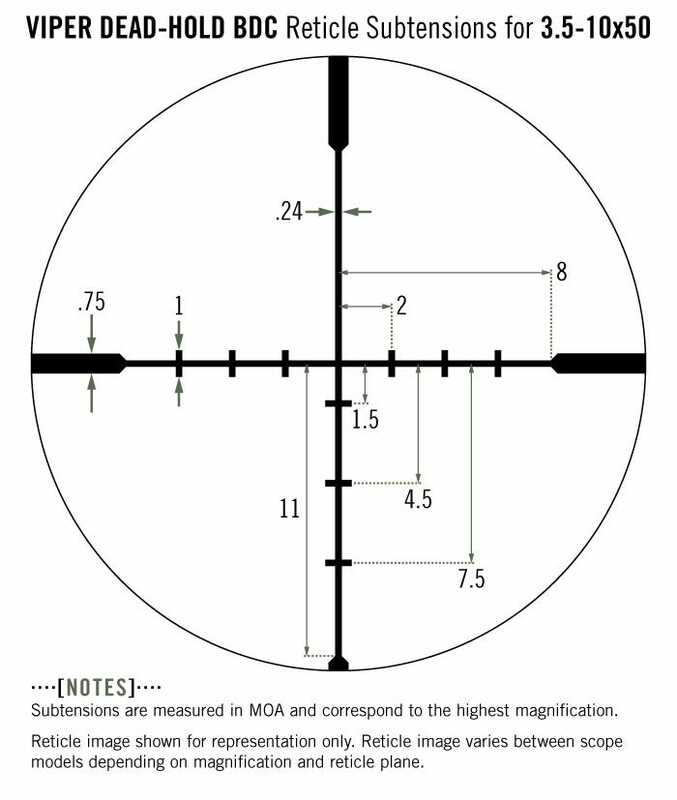 Subtension detail for Viper 3.5-10x50 riflescope with Dead-Hold BDC reticle. Rated 5 out of 5 by Seth raftman from Great simple scope Bought this scope to hunt whitetails on the east coast and elk in Montana. I have been super pleased with it over the last 7 years. I have harvested deer at 70 yds and elk as far out as 360 yds. You just can't beat a Vortex for quality and customer satisfaction. Rated 5 out of 5 by Sprout from Better eye relief than other brands Was comparing this to a luepold at the local gun shop and came home with the Vortex. Not let down. Talked to customer service about a few things, gentleman was very friendly and helpful. Found out the issue was operator error. Plus, nobody beats the warranty. Rated 5 out of 5 by Mike in Flag from High quality scope for the money I mounted this Viper 4-12 on my Savage 112 7mm REM MAG and enjoy the clear view and crisp reticle on this flat shooter. Hitting 8 inch steel at 600 yards. This goes with me on my elk and mule deer hunts coming up in the fall. Rated 5 out of 5 by Full Curl from Great dependable scope used this scope for several years now. Allows holds true. The BDC reticle is ideal for quick adjustments. Rated 4 out of 5 by HafaHapa from Quality scope for the money! Bought this scope for my .257 Weatherby and it has been great. Clear, smooth zoom, turrets track well, and most importantly hold zero (even after dropping my rifle on a rock). I would give this a 5 star but I need to semd it back to Vortex. 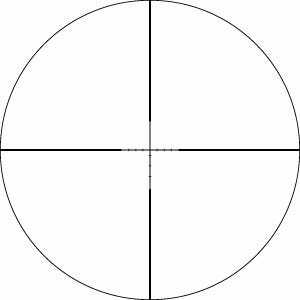 I noticed a small fleck in the reticle near the edge. Doesnt affect its performance at all, just irritates me. Will change my star rating once I get the scope back. Rated 4 out of 5 by JD from I would buy this product again. This scope has great glass and the eye relief wonderful. On the range I can see better thru the scope then my spotting scope. Good bang for the buck. Rated 5 out of 5 by ONEBESTDAY from Great scope! I hunt Colombian Blacktail in the northwest of California near the Oregon border. While hunting the "grey ghost" here you can find yourself with a shot anywhere from 50 yards to 500 yards or more. This scope can handle any distance you can that you can find them. It has a long eye relief. I have a long rifle for my size and this scope works for me awesome.